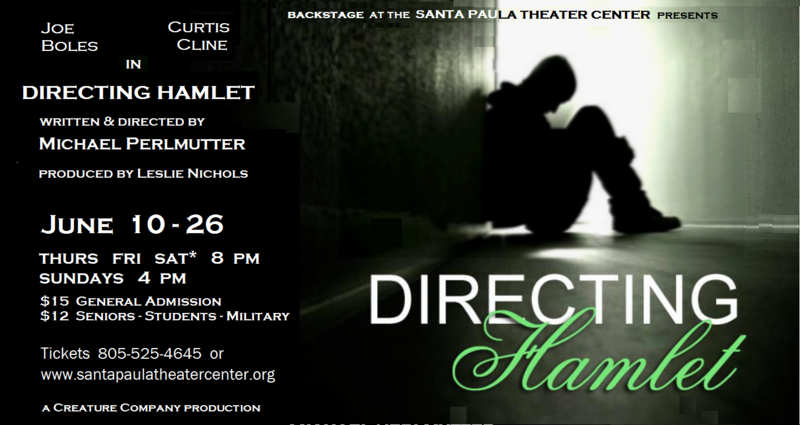 DIRECTING HAMLET is a two act character driven drama that examines our motives as artists, in other words: why we do what we do. As the play opens, BRIAN, a nineteen year old actor is busy being verbally attacked, prodded, cajoled and anything but coddled by THE DIRECTOR (Lee), a middle aged theatre veteran. As they stumble their way to bring Hamlet out of Brian both men are brought to their wit’s end. Through the progress of their rehearsing one of theatre’s most intriguing characters both men explore their own potentials and limitations, what it is to be a alone in the world and in need of a family, and why each of them have chosen this career path of artistic expression. Why is art, after all? What are we celebrating, what are we looking for, and what are we hiding from?